UK’s bike company brings its adventure sports bikes to India... Launches Triumph Tiger 800 Series..!!! UK based premium brand of the motorbikes Triumph has reportedly set itself a target to sell 2,500 units of its premium bikes in a year in India. 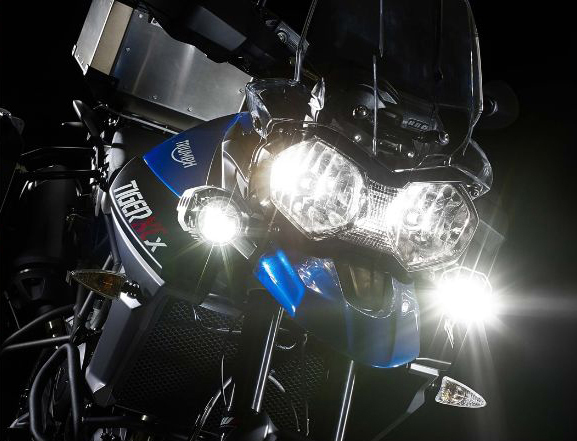 The company has recently launched two models of its Tiger series of adventure bikes in India – the Triumph Tiger 800 XCx and Triumph Tiger XRx for Rs. 11.60 lakh and Rs. 12.70 lakh (Ex-showroom) respectively. 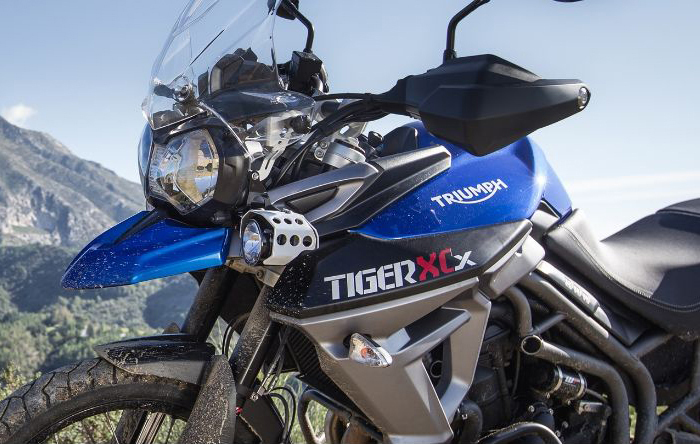 The Tiger 800 XCx and 800 XRX both are powered by a 3-cylinder inline, liquid-cooled, 12 valve, DOHC, 800cc engine; which churns out a whopping 95PS power and 79Nm of torque. This Multi-point sequential electronic fuel injection engine is mated to a 6-speed gearbox. Triumph bikes mainly compete with its counterpart brands like Honda, Ducati, Kawasaki and Suzuki in the premium bikes segment. The company will soon also launch a product in the Tiger range for Rs. 10.50 lakh. Advanced ABS - The ABS system comes with an option of three modes - ROAD, OFF-ROAD, and OFF to choose from. 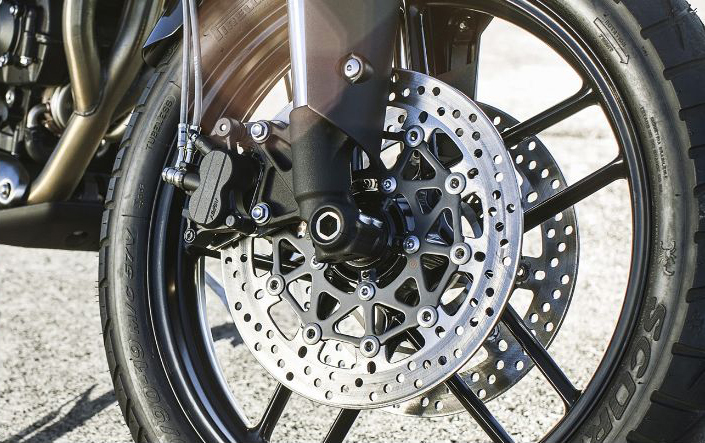 Traction Control - The traction control mode can be configured to Road, Off-Road, or Off settings. Throttle Maps - The rider can choose from 4 different throttle maps - Rain, Road, Sport or Off-Road via the switch cube; according to both riding and weather conditions. Riding Modes – According to the terrain, the rider can choose from 3 Riding Modes - ROAD, OFF-ROAD and fully configurable PROGRAMMABLE RIDER MODE. This also automatically configures the ABS, Traction Control, and Throttle Maps to best tackle the route ahead. 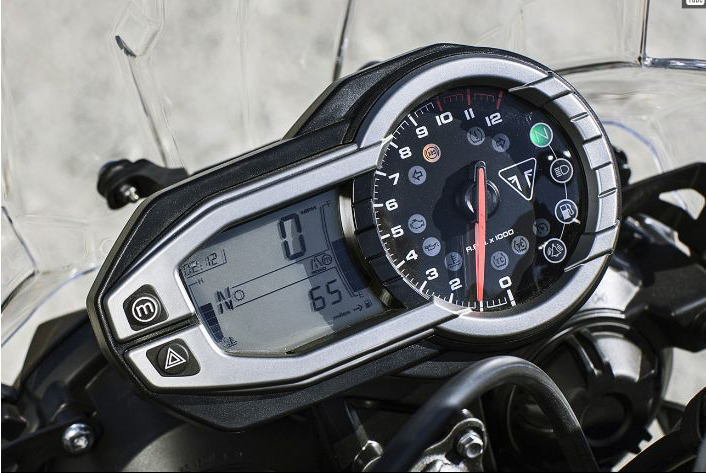 With the PROGRAMMABLE RIDER MODE, it allows the rider to select their chosen settings for ABS, Traction Control, and a choice of 4 x Throttle Maps independently. Cruise Control - Cruise Control comes as standard. Advanced Trip Control - An advanced trip computer provides additional information such as journey time, average speed, average fuel economy, range to empty, and instantaneous fuel consumption. Aux Socket - Additional Auxiliary power socket. Auto Cancel Indicators - The directional indicators with an automatic cancel function. Why Big Dog is making news in India with K9 Red Chopper 111? Spotted and Clicked: The Tata Nexon Spy Pics…!